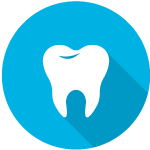 Smiles On State Street offers the full spectrum of dental services to help you keep your teeth healthy and beautiful. Our services and benefits are detailed on in this section of the site, but you can always Contact Us if you have any questions about what we offer. Your comfort is our biggest priority – if you are cold, we will get you a blanket. Each room is fitted with a TV placed directly above the chair so you can watch your favorite program during your visit. 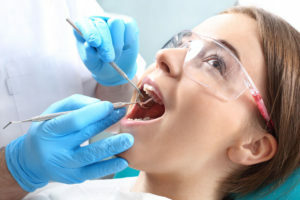 Our initial exam includes: A complete review of your medical/dental history, including documentation of all current conditions and medications; oral cancer screening, both visually and digitally (using the fingers), checking lips, tongue and the insides of your mouth and cheeks; X-rays that provide a comprehensive view of your teeth and condition of the bone surrounding your teeth; checking for any signs of periodontal disease and gingivitis; checking for bite problems (underbite, overbite, crossbite), worn teeth, or jaw problems; a thorough tooth-by-tooth examination for cavities, cracks, chipped teeth, and evaluation of prior treatment and restorations, culminating with a plan for further treatment that is customized just for you.